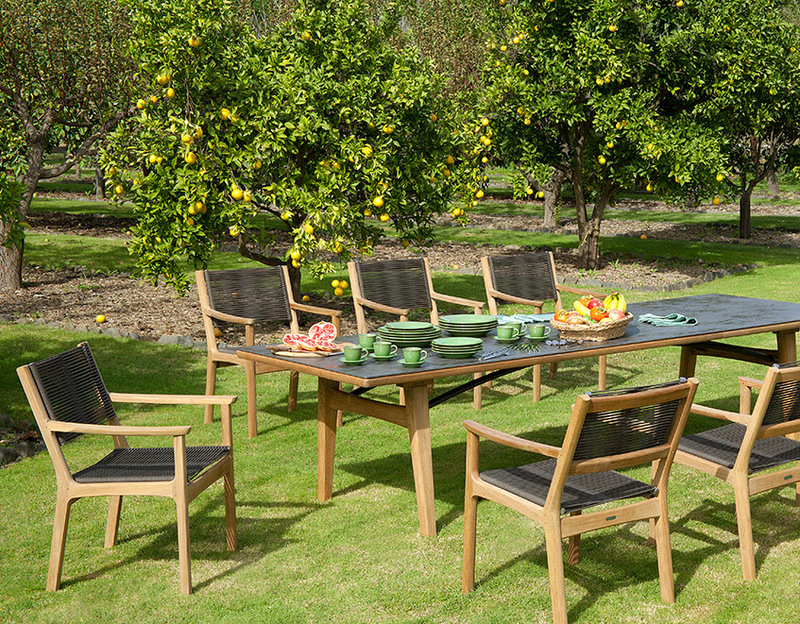 Patio & Things | Barlow Tyrie’s outdoor garden and patio tables and chairs have weathered the test of time. 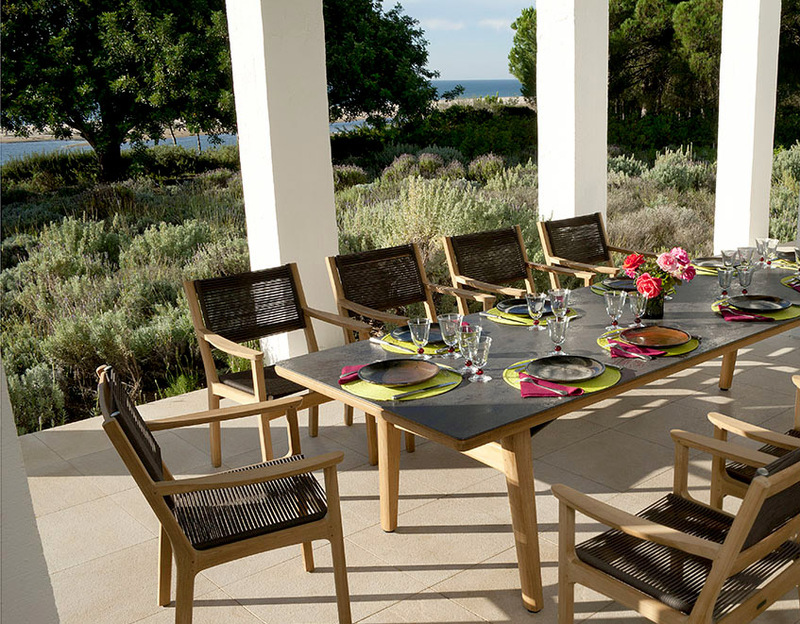 Their plantation grown teak is worked into some of the most attractive, functional and long-lasting outdoor furniture pieces available today. 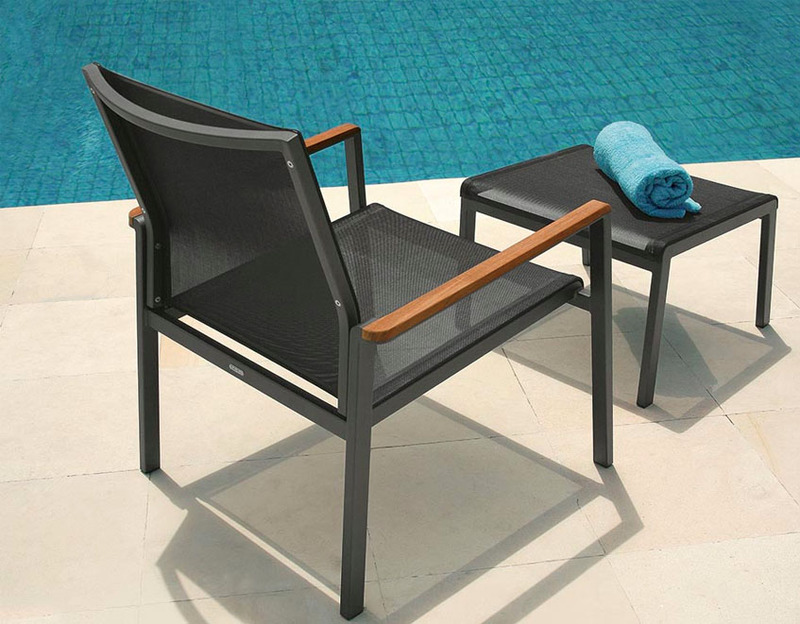 Barlow Tyrie teak, woven, stainless steel and aluminum outdoor furniture have received countless international excellence awards for design and construction. 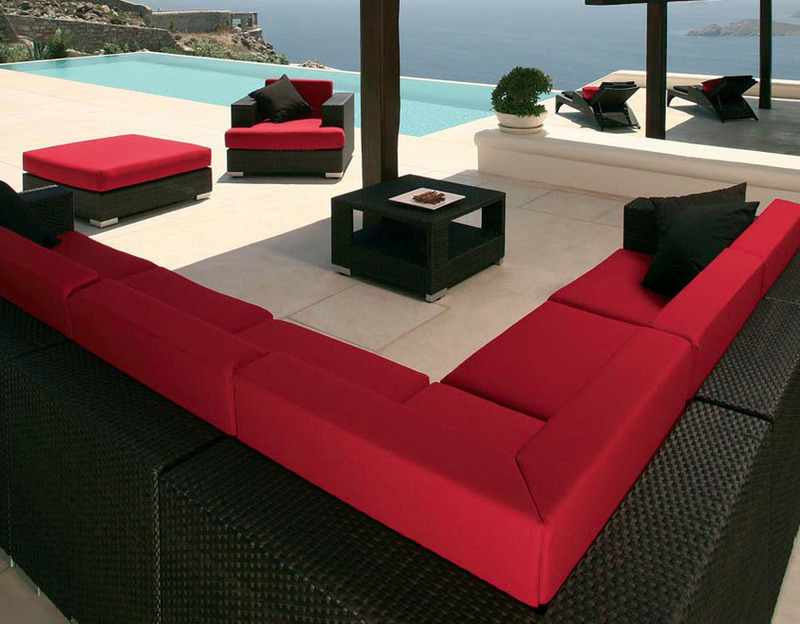 original woven furniture designed by Vladimir Kagan. 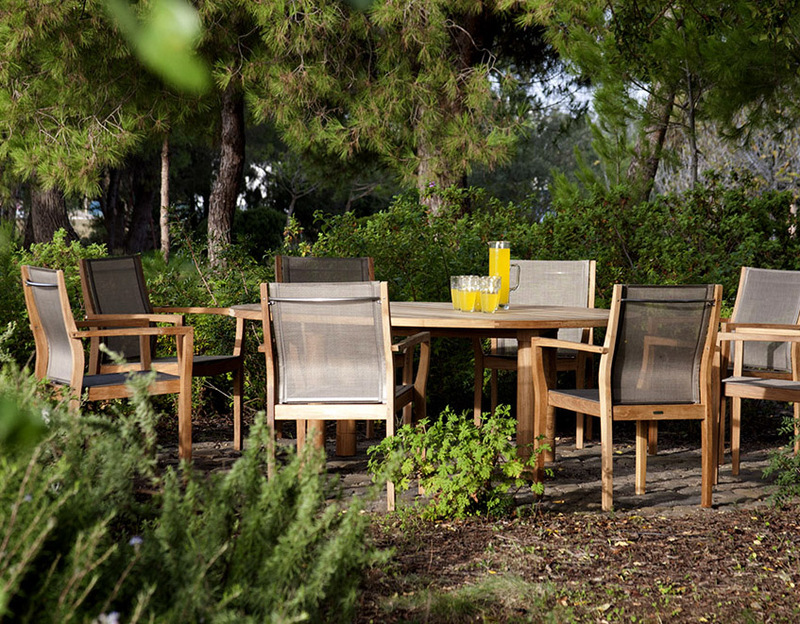 Barlow Tyrie’s outdoor garden and patio tables and chairs have weathered the test of time. 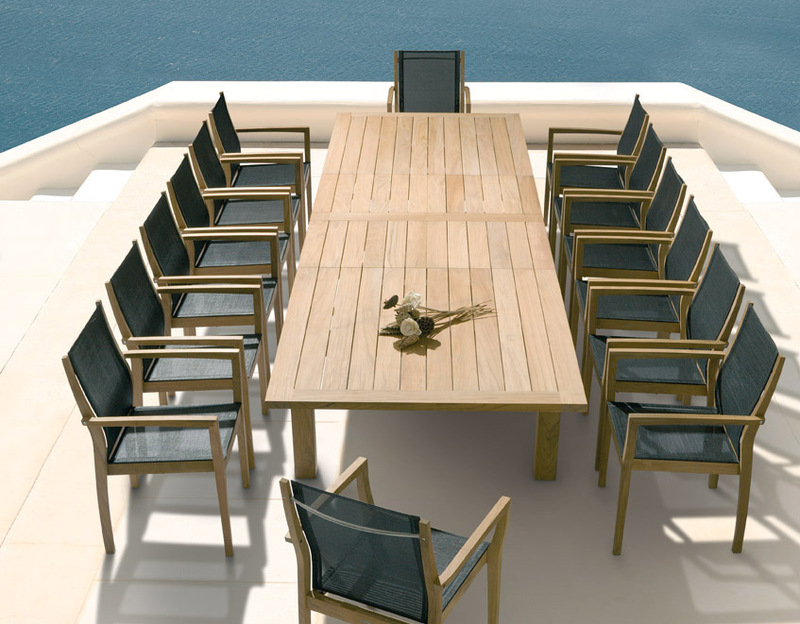 Their plantation grown teak is worked into some of the most attractive, functional and long-lasting outdoor furniture pieces available today. 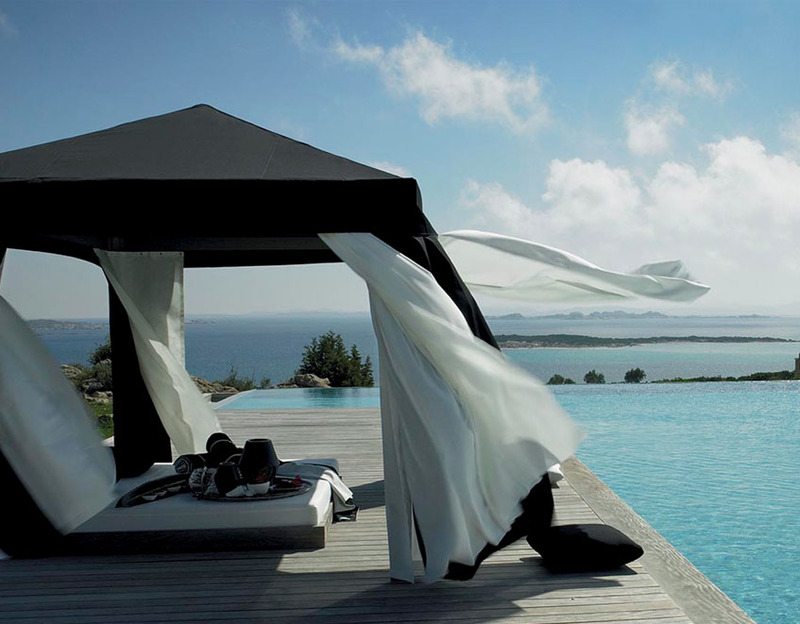 Barlow Tyrie teak, woven, stainless steel and aluminum outdoor furniture have received countless international excellence awards for design and construction. 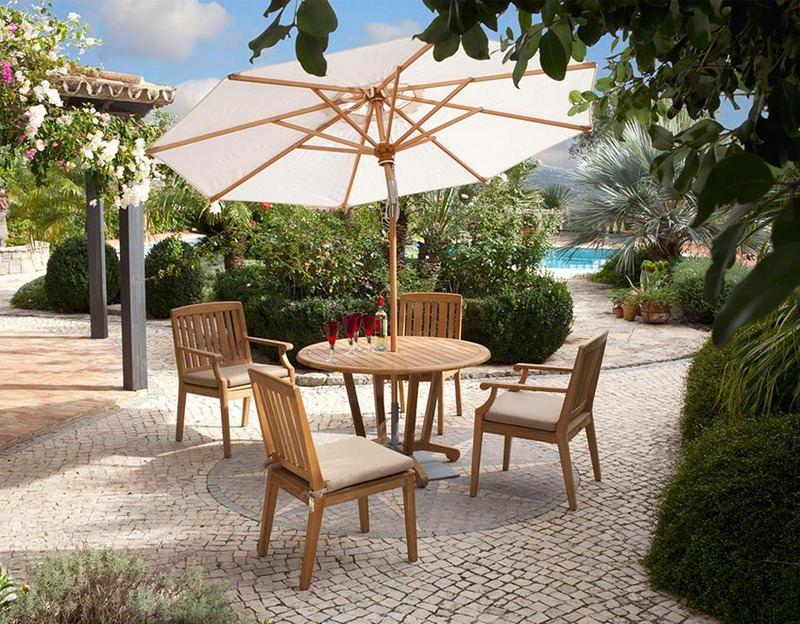 Barlow Tyrie manufacture a range of patio garden furniture with traditional designs in teak from lightweight folding chairs and tables to contract and commemorative seating which can be supplied with a beautifully carved inscription or a flush fitted bronze plaque with concealed fixing. Barlow Tyrie original woven furniture was designed by Vladimir Kagan and such has been its success that the ranges have been extended to include daybeds, loungers and deep seating arrangements. 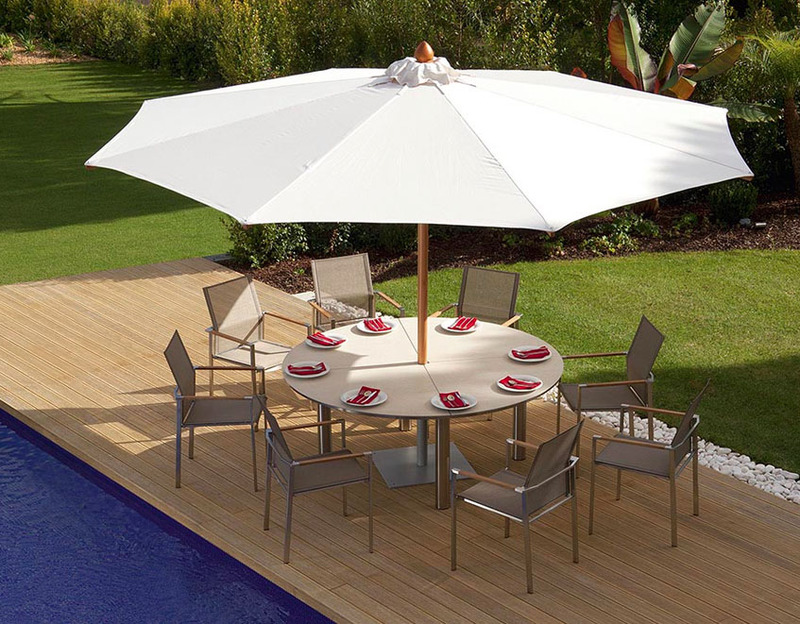 all available at Patio and Things in Coral Gables, Miami along with Barlow Tyrie full range of cushions and parasols are available to complement your garden furniture or terrace. 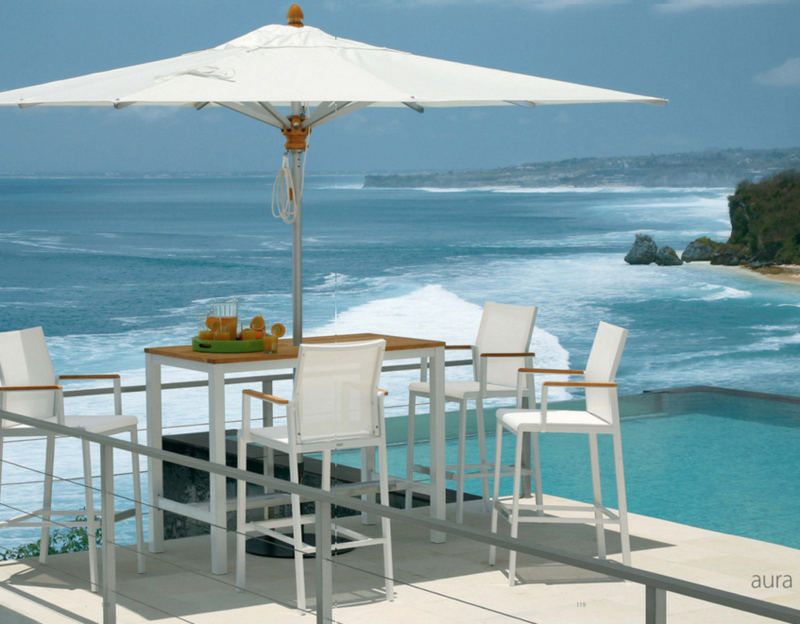 Barlow Tyrie collection of outdoor furniture ranges from teak to stainless steel, aluminum and woven outdoor furnitures Eye-catching designs are created to style any contemporary or traditional outdoor space. 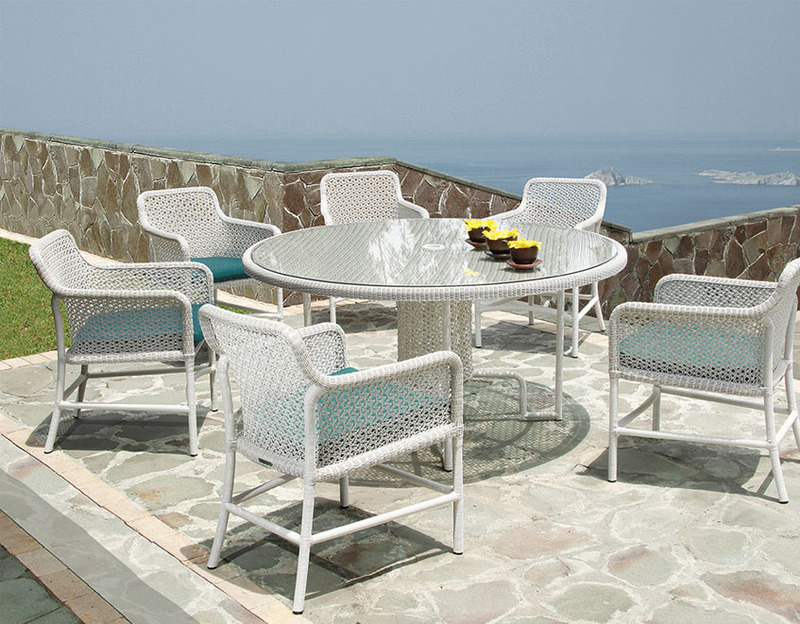 Woven Outdoor Furniture, Stainless Steel Outdoor Furniture, Aluminum Outdoor Furniture, Outdoor Dining Chairs, Outdoor Dining Tables, Outdoor Deep Seating, Outdoor Loungers, Outdoor High Dining, Outdoor Seating, Outdoor Patio Accessories, Parasols / Umbrellas, Furniture Cushions & Furniture Covers are just some of the products available in the Barlow Tyrie collections. Barlow Tyrie furniture is durable and guaranteed to offer you service for many years to come. 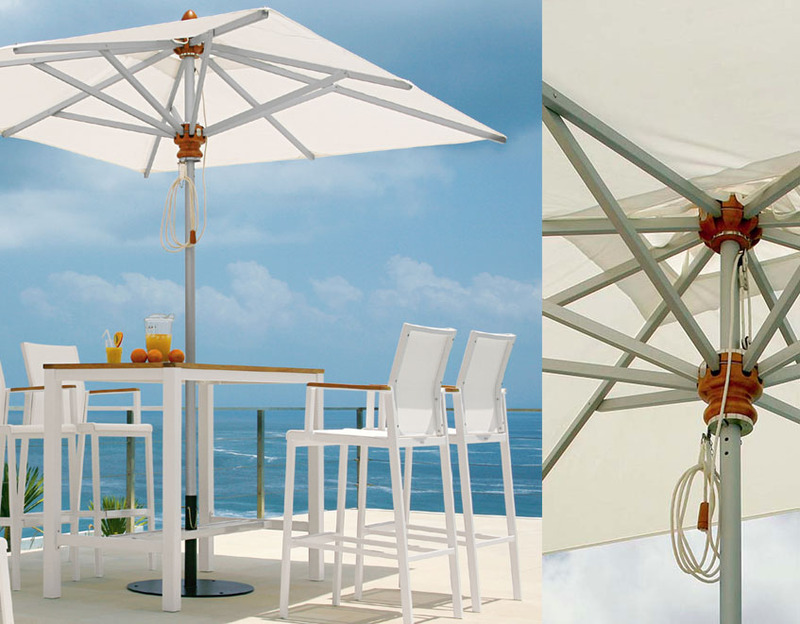 All available at Patio and Things in Coral Gables, Miami along with Barlow Tyrie full range of cushions and parasols available to complement your garden furniture or terrace.